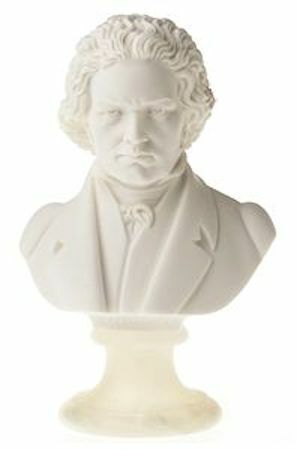 Grace your piano or anywhere in your studio, home or office with your favorite handcrafted Composer Bust, 8 3/4 inch (large). Made of sculpted alabaster by Italian masters, this will also make a handsome and treasured gift for the music lover in your life. YOU WILL BE ABLE TO SELECT YOUR PREFERENCE (Beethoven, Mozart, Bach, Chopin, Brahms, Schubert, Liszt, Wagner, or Verdi)WHEN YOU ADD TO CART.